Banking and automation - Capital Business System Pvt. Ltd.
For better Customer Service and attracting more customers, CBSL offers an easy to use, customer friendly ECDM. This innovative machine uses Imaging and data processing technology to save time and facilitates each customer with an acknowledgement of the Cheque/Pay in slip deposited within seconds. It provides the banker with more efficient and secured way of handling deposited cheques. Insert Pay-in-slip and get a scanned print copy of Pay-in-slip. Insert Cheque and get a scanned print copy of cheque. Time, date and branch details printed on the scanned copy. Complete MIS on Nos of transactions with date and time at the end of day. Possibility to get scanned image of the deposited cheques on real time basis for fast processing. Possibility of extracting hand written data on cheques for early processing. It is supplied on rental basis hence, in case after some time if utility is not found machine can be returned to us. A very user friendly machine can even be operated by an illiterate person, office boy, peon, etc. It is mandatory for our Service Executive to visit machine every day as a preventive measure, hence downtime is negligible. 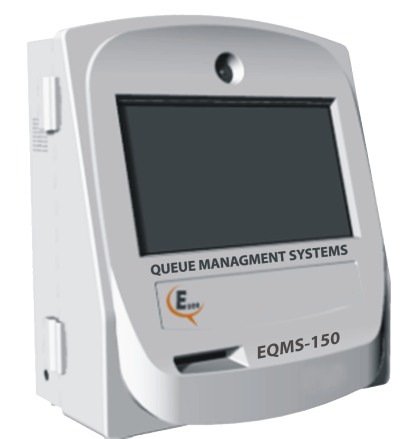 This machine provides acknowledgment to the customers for every cheque dropped with date, time and name of the branch and also image of the cheque. If machine is placed inside ATM or at any strategic location inside the branch, customer can be provided 24x7 services for every cheque dropped even after office hours. The USP of our machine is no key punching required to get the acknowledgment. A very user friendly Drop Box can even be operated by an illiterate person, office boy, peon, senior citizens , house wife etc. This ACDB provides acknowledgment to the customers for every cheque dropped with date, time and name of the branch and also image of the cheque. ACDB will also store cheque image both back & front. ACDB will also capture ,MICR Details of each cheque. ACDB will also generate MIS everyday with no of cheques deposited with MICR details with the deposit time of each cheque. This MIS can be used for verification by branch during back end processing. This innovative drop box will also have voice over in regional language for customer convenience. If machine is placed inside ATM customer can be provided 24x7 services for every cheque dropped even after office hours. TFT Screen will also run the various schemes of the bank which can be changed from time to time for customers to see & avail the benefits of scheme. ACDB will also be fitted with a camera. One of the unique features of this ACDB is it will capture photograph of each depositer which will immensely help the branch in preventing frauds. There would be an adequate storage capacity in the machine to store photos , cheque image etc. With RBI bringing in CTS the future of Cheque processing has been re-defined. Products, solutions and technologies enabling the new system is finding its place in the market. SSCDK is the primary terminal for customer interaction for self-serve remote Cheque deposit. It captures high quality cheque images with MICR data for online processing. In addition, it offers end-to-end security mandated by financial institutions to ensure safe remote deposit adequate for cheque truncation solution mandated by RBI in India. The robust design with industry standard reliability now offers customers simplified functionality with proof of transation comfort. Complete branch level cheque deposit automation. Small foot print and effective space utilisation at branches. Generates Revenue : Cheque COLLECTION KIOSK for credit card payments, Insurance premiums or loans, Utility bills, Banks, Hospitals, Corporate, CTS bureau etc. Future proof investment : Complies with RBS CTS mandate. 24 x 7 SSK for cheque deposit. No frustrating queues or human interaction. Automatic and securely process Cheques quickly at the bank branch. Self-service, 24X7 operation, issues transaction receipt with image of cheque saving time and money. Extends customer base with Remote Cheque Deposit without incurring the cost of additional branches. Compliments ATM service with online Cheque deposit services to anyone, almost anywhere. Improves customer satisfaction & your brand value. Perceived and actual waiting time is reduced. Saves customers’ time spent in waiting. Overall customer experience is enhanced. Customers can provide feedback, right after the service. Customer is informed of new bank offerings while waiting on large video display screen. Monitor Service KPIs on a real time basis. Monitor the performance of customer service representatives. Building an organizational commitment to customers. There is No Need to change or invest in new passbooks. The passbooks are simply encoded with a Bar-Code or Magnetic Strips or Card swipining, containing the necessery passbook identification details. Customer Convenience : It provides to fast, easy and convenient way to keep the passbooks "up to date" without queuing or engaging the branch staff. Branch Staff Assistance : Passbook update transaction are typically "low value - high cost" transaction, best performed by convenient and dedicated self service equipment, thus giving the staff more time to process the profitable transactions and improve productivity figures. The ePBP - Advance Easily Integrates wirh the financial institutions transaction system and its Robust Design makes it ideal for the 24 hours access locations. Completed branch level Pass Book printing automation. Small foot print and effective space utilization at branches. Avoids Manual Procedures for Passbook Printing. 24 x 7 SSK for Pass Book Printing. Automates and securely updates the Pass Book at the ePBP Kiosk. Fitted with Barcode Scanner, Magnetic Strip & Card swipe for Automatic Capture of the Data Optional Remote Management Software. Compliments ATM service with online support to anyone and almost anywhere. CBSL offers Electronic Cheque deposit Machine to get instant cheque deposit confirmation. Various banks are using this solution. More than 500 engineers supporting the installations guaranteeing maximum up time of machines. All machines offered on OPEX model so no fixed investment by banks. Banks can discontinue service any time if utility of the machine is not justified. All up gradations/technology enhancements done free of cost by us. Bank is always using the latest technology and solution at no extra /incremental cost and equipment never becomes obsolete/redundant.